Opening hours: Daily from 9 AM to 5 PM, in winter ftom 10 AM to 4 PM. Remarks: All cars in the museum are privately owned and change regularly. 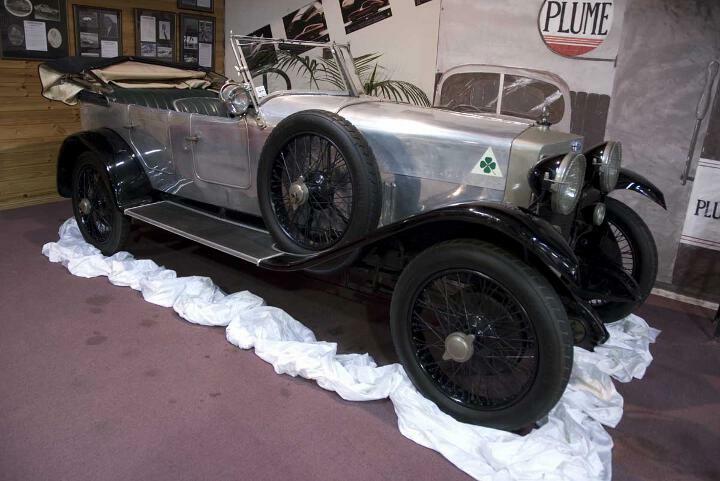 In 2011 the museum hosted the Bella Alfa Romeo exhibition and had the oldest existing car wearing the name of Alfa Romeo (the firm was previously called A.L.F.A.) on display; the G1 from 1921.